These 5 x 10 White Self-Seal Bubble Mailers provide light-weight protection for your products during shipping. 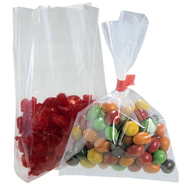 These white paper self-seal bubble mailers feature a 3/16" high slip poly bubble lining for easy insertion of products and a peel and stick lip provides a secure, tamper evident closure. 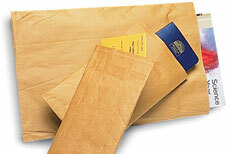 Our white self-seal bubble mailers are the ultimate in quality and lightweight for low cost postage, 25 per case. Custom Printing Available.